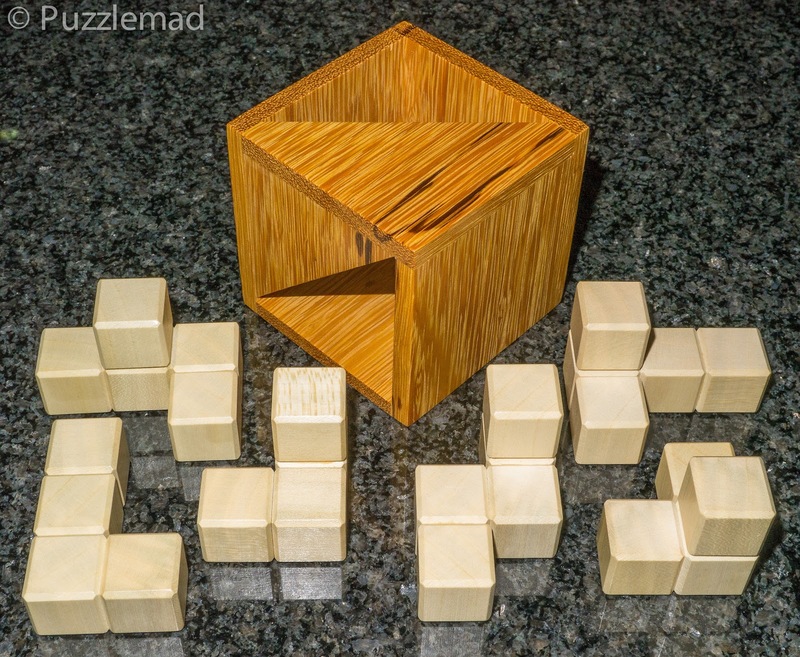 Puzzlemad New Additions: Brian sends more beauty through the post! Brian sends more beauty through the post! All the craftsmen are producing new toys at the same time! This is really no good for my bank balance and certainly not helping marital harmony in the Sadler household! Mrs S has given me a lot of Whack! Ouch! 's recently! Of course when Brian Menold put up a few new toys for sale, I could not say no! The Triagonal Agony is a puzzle design by Laszlo Molnar very similar in idea to the L-I-Vator cube which I bought previously and reviewed here. 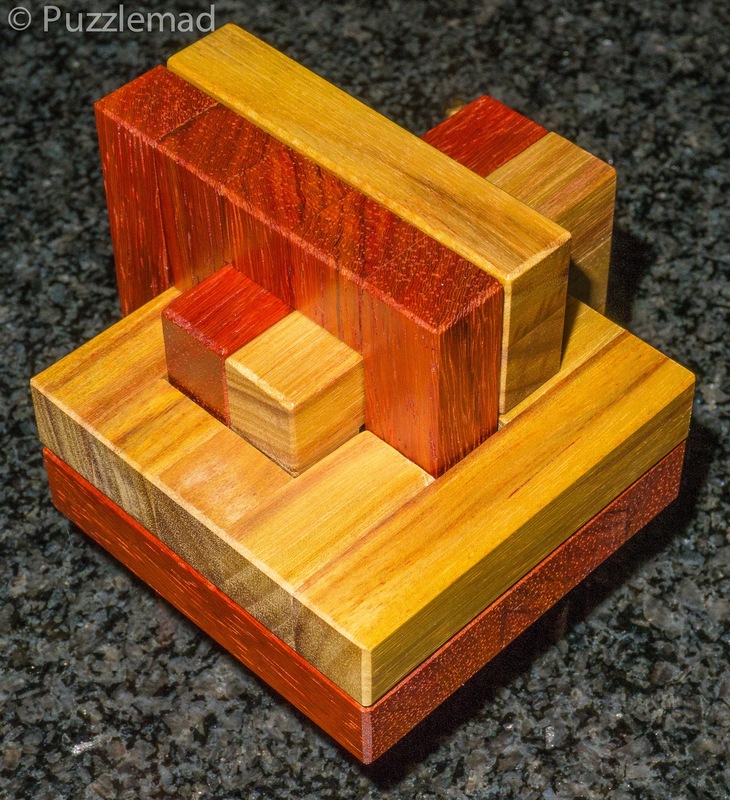 The version I bought here matches the L-I-Vator cube being made of Holly with a Marblewood box. It is sent out disassembled and is a real challenge not solvable by Burrtools. It has taken me 45 minutes to just to assemble the cube! Now I have to work out how to put it in the box with just 2 triangular openings in it. Tropical Fish is an interesting 6 piece board burr designed by Chi-ren Chen and made from Padauk and Canarywood. It really is as vibrant as the picture shows. At level 19.5.1.1.2, this will be a considerable but hopefully not impossible challenge.